I was riding before i could walk, so since i was very young. I have been doing dressage for a few years, I am aiming just to get out there and have fun, that is the main thing for me. I have 2 horses, my 9 year old Highland Pony x Thoroughbred gelding, and a 6 year old mare who is currently in foal. My gelding, Croftcnoc McAlister (pictured in the images above) is my dressage horse, we are out there to have fun. 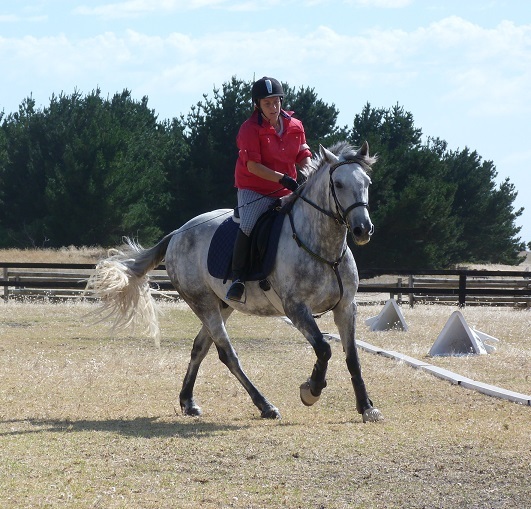 I like to have an enjoyable time and my gelding is lots of fun to take out and compete on. We are working at the lower level stuff, so we are not playing for cattle stations haha! 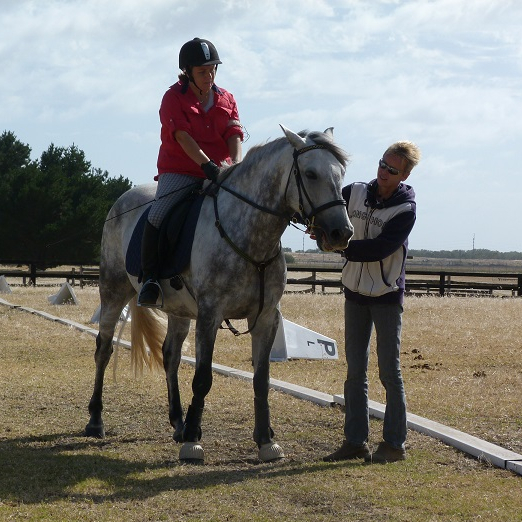 I like to do lots of different things, so my goals are to get out and compete in dressage, showjumping and eventing. I like to have a go at most things. 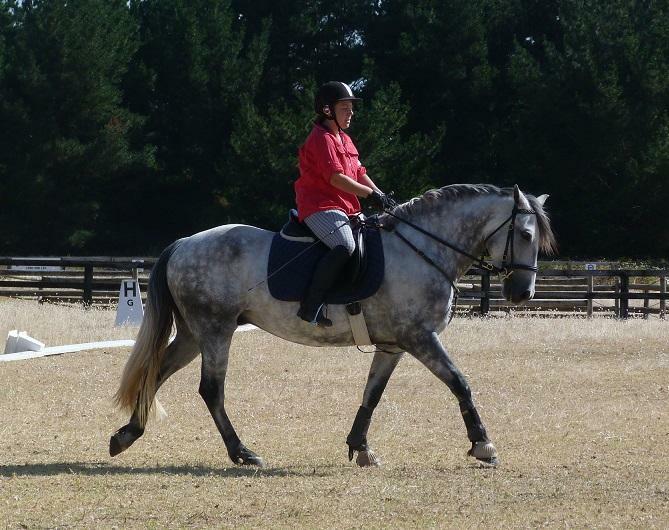 I love the grey Danish Warmblood mare "Blue Hors Matine", i think anyone who got to ride her was very lucky! I have cats & dogs plus my 2 horses. Always remember that the engine is behind!